Anxiety is one of the two most-used terms for mental health disorders. A mental health disorder can cover a wide range of symptoms and reactions, but in essence, it is a medical condition that disrupts a person’s thinking, feeling, mood and ability to relate to others which results in a diminished capacity for coping with the ordinary demands of daily life. Chinese Medicine does not recognise any mental disorder as one particular syndrome. Instead, it aims to address the specific symptoms that are unique to each individual. So when I see two people, both suffering from anxiety, they will each receive a unique customised assessment using different acupuncture points, different Tui Na methods, and different lifestyle and dietary advice. I also take into account the physical and emotional symptoms they are experiencing together with Chinese pulse and tongue diagnosis plus how they look, move and speak. In Chinese Medicine, mental health disorders are not just in the mind. An imbalance in the body causes the disorder. This can be from an excess or deficiency of Yin and Yang; instead of their being in harmonious balance within the body they are pulling against each other and disrupting the flow of Blood and Qi. In Chinese Medicine, there is a life force known as Qi (pronounced Chee) which flows through meridians which connect all our major organs. Illness arises when the flow of Qi becomes imbalanced. It may get blocked, it may flow the wrong way, become too weak or too strong. Qi is the vital energy in all living things, an energy derived from food, air and inherited constitution. Qi is necessary for growth, mental health and protection against illness and disease. Water (Kidney) – Depression and lack of will. Usually, a Chinese Medicine diagnosis will involve a mixture of these elements but one is likely to dominate and acupuncture will focus along that particular channel. However, the Liver organ is the most sensitive to emotional distress and the Liver channel will usually be included in many cases of mental health disorder. Acupuncture smooths the flow of Liver Qi helping correct any imbalance. The British Acupuncture Council has a list of research sheets publishing its views on the effectiveness of acupuncture for different conditions. Their website can give you a general overview and research information for anxiety and panic attacks. This interesting article gives the Acupuncture Council of Ireland’s views on acupuncture for anxiety. I have also used Tuina massage to help re-balance people’s bodies. In Tuina massage, it is understood that people’s bodies react to emotions and over time that reaction becomes more and more fixed within the body. Someone who is often angry tends to get tight neck and shoulder muscles with temporal headaches. Relaxing these muscles can help the person to let go of the anger. Another classic area of “holding” within the body is the diaphragm. It is as if the person is constantly holding their breath, often to hold onto emotions rather than letting them out. This results in the diaphragm eventually being unable to move properly and the person only being able to take relatively shallow breaths. This then affects the flow of Qi throughout the body and consequently affects mental well-being. Many types of therapies concentrate on correct breathing and with good reason. This simple act which we all do unconsciously every day, but so many of us have lost the ability to do correctly, has a negative effect on our bodies. Therefore when someone is suffering from anxiety or depression I will often spend time with them concentrating on moving their diaphragm when they breathe and using Tuina massage to help loosen the movement. Following a recent project between Anxiety UK and the British Acupuncture Council, Anxiety UK are now recommending acupuncture as an effective therapy. 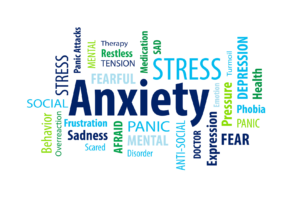 I am an Anxiety UK Approved Practitioner providing support to the charity’s members. As such I have treated a number of patients for anxiety with very good results. I am subject to Anxiety UK’s regular monitoring of my professional qualifications, supervision, continual professional development, insurance and professional body membership in addition to complying with the ethical framework and professional standards set down by my registered governing body. You can also visit Jackie Graham at the Bridge to Health Clinic. If you are finding that anxiety is severely affecting your life and you want to find a treatment that may be able to help you, give acupuncture for depression and anxiety a try. 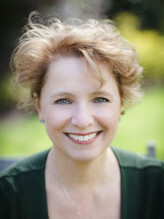 Call me on 07733274745 for a free consultation or email me at info@jackiegrahamacupuncture.com. How many acupuncture treatments will I need to treat my anxiety? This is always a difficult one to answer because it very much depends on what is causing your anxiety and how long you have had it. I generally say to people to give acupuncture a minimum of 6 goes. Acupuncture is not a magic wand and the treatment effects build over a period of time. I would expect to see a new patient on a weekly basis. Once the symptoms are under control I then move the treatments to fortnightly and gradually lengthen the time between appointments as the condition improves. Many anxiety patients continue to come over a period of time, sometimes once a month or even once every 6 weeks, to maintain the benefits. Does Acupuncture for Anxiety work? In my experience, it can work very well. Please see the testimonials below. Where are the acupuncture points for anxiety? As stated previously the causes of anxiety from a Chinese medicine point of view can vary, so there is not a protocol for treating anxiety. There are some points which are known for their calming properties so it is likely that these will be used at some point, but nothing is set in stone. ← Can Acupuncture Help Relieve Recurring Headaches?